Fluid in motion, or fluid power, can be an extremely powerful thing. Fluids like water and oil have been used to create energy for centuries. This use of fluid power has even played a major role in the advancement of civilization. In the beginning it was water that powered things by pushing wheels, cogs, and levers. The same basic idea is used today – using pressurized fluid to create energy and motion! In the 17th century a physicist, Pascal, found that when pressure is put on a liquid that is confined, the force is dispersed equally in all directions and that this force created by the fluid could be harnessed and used. Then, almost a century later Bernoulli used this concept by pressurizing water in mills and pumps. Then, about 60 years later Bramah got a patent for the first hydraulic press which meant a boom in the Industrial Revolution where presses and other machines were now being automated. As time went on and the use of hydraulic equipment increased, it was discovered that water was not the best fluid to be used in hydraulic tools and equipment. Water tended to be corrosive whereas oil was noncorrosive. Besides the fact that it wasn’t corrosive, the oil also had a higher viscosity which meant that it could handle heavier loads, would not evaporate like water, and did not heat up like water did when being used. Hydraulic cylinders began evolving and in the last 70 years or so we have seen then at work on cranes, moving large objects, in ships, mining and drilling, and in manufacturing plants that produce equipment, products, and tools. Fluid power also offers as much as 10 times the power of an electric motor while being easily controllable. 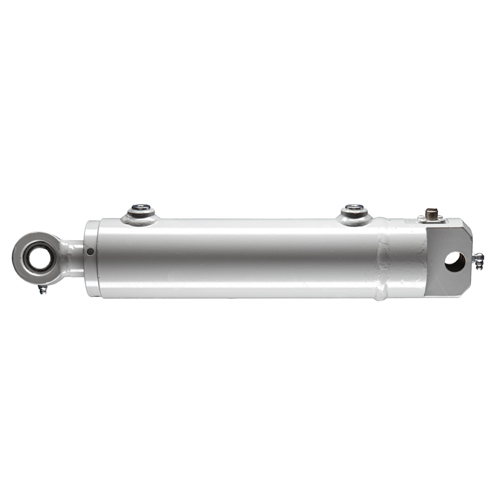 Contact Best Metal Products today with any questions about our hydraulic cylinders!